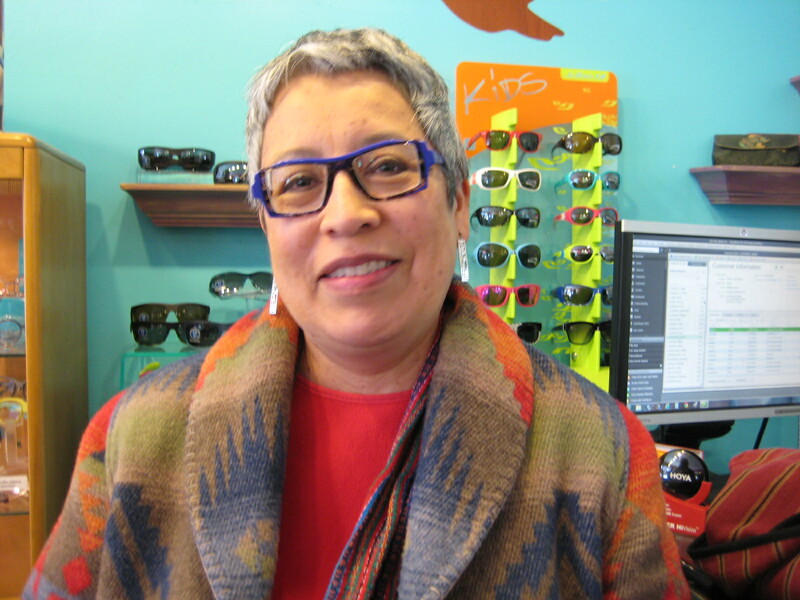 Tip your hats to our elegant Customer Of The Week Deanna!!! 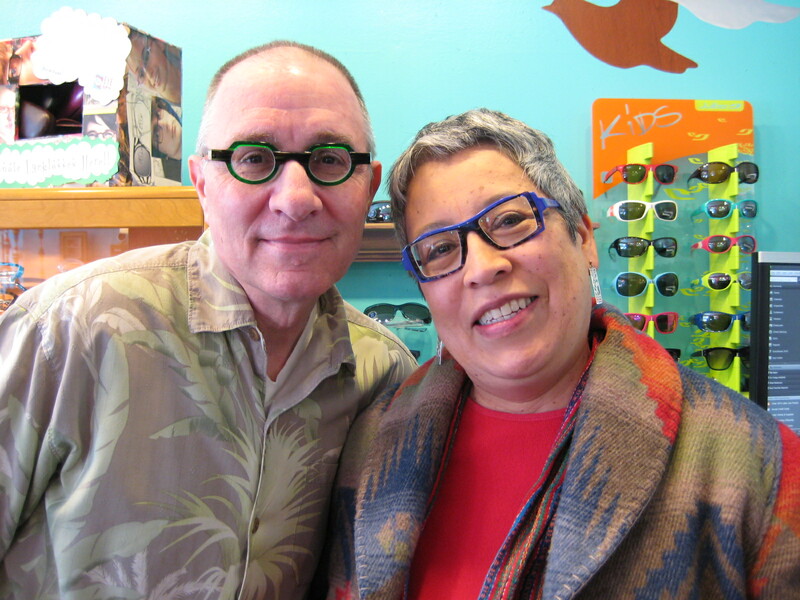 Deanna came in after seeing her friend wearing a fabulous pair of glasses from Eye Spy. 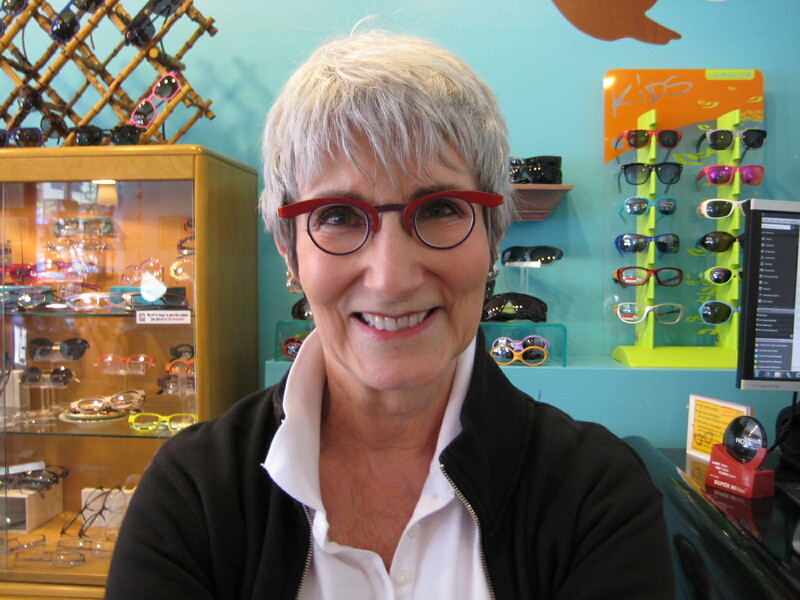 She wanted a new frame -something bold and colorful – and you know she came to the right place. 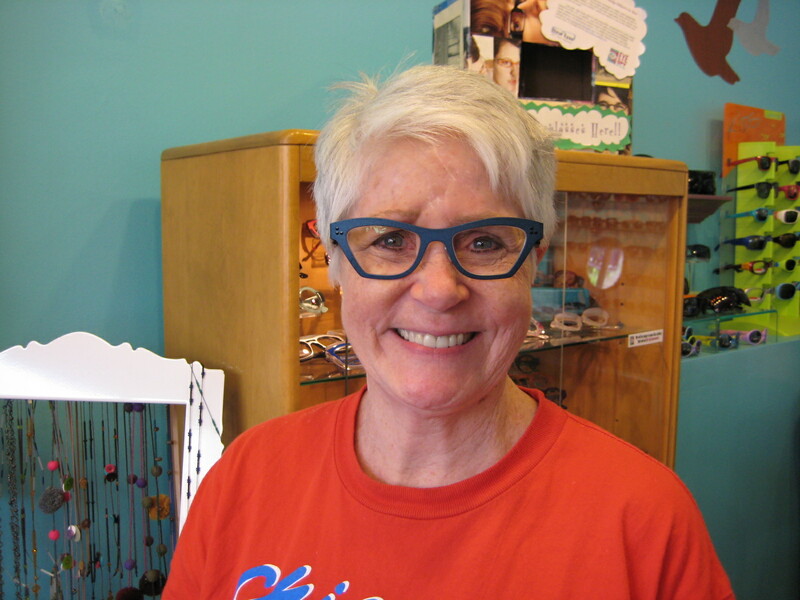 Patsy, our Specs Wrangler, helped her try on several fun frames. 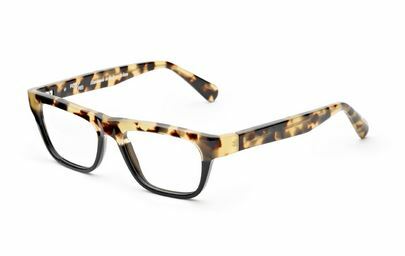 Deanna almost walked out the door in a pair of Rapp cat-eyes, but a very special Theo caught her eye… and she absolutely HAD to have it! 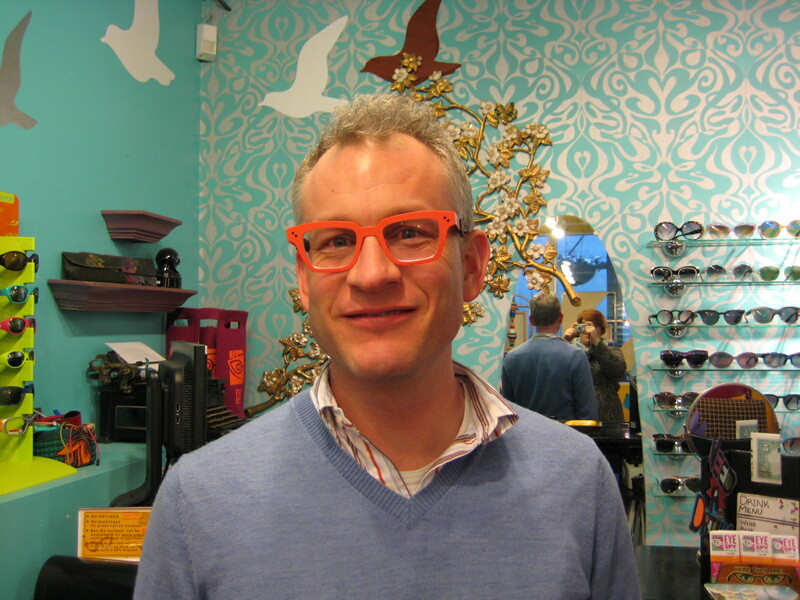 The O by Theo is a frame that is bold and beautiful, but also has a sense of humor. 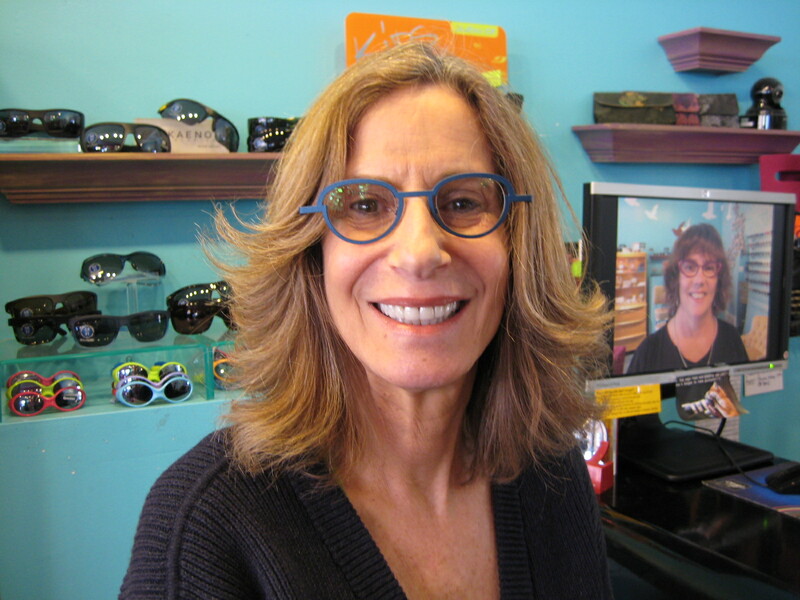 We think that it looks striking on Deanna. 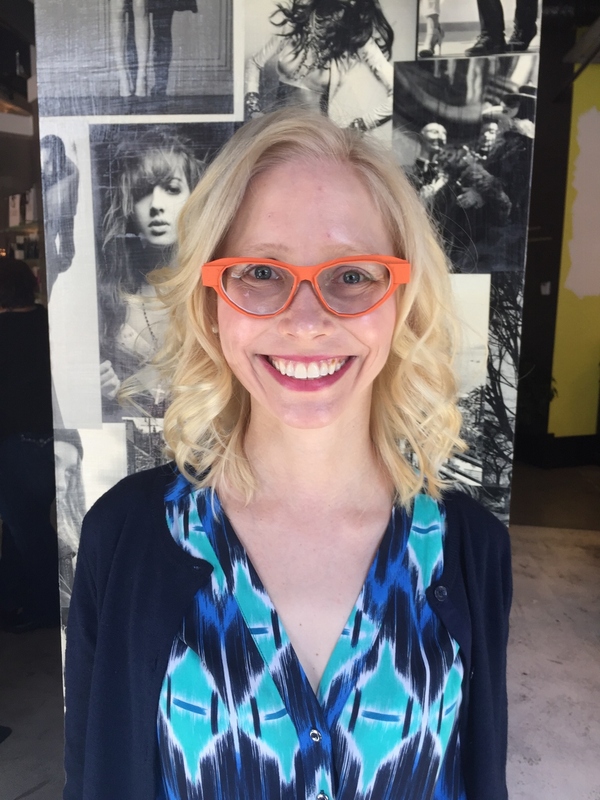 Her silver hair and porcelain skin make this frame POP and the fit is nothing but perfect. 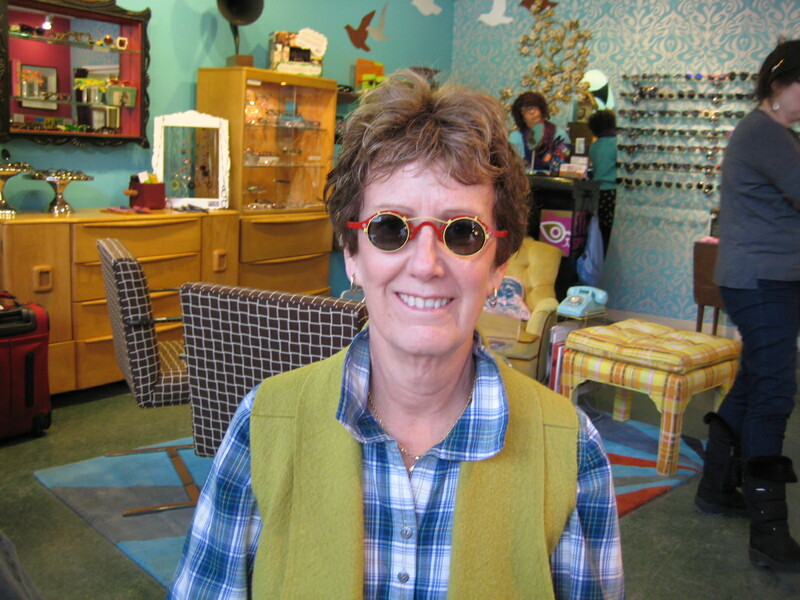 Our Customer of the Week is the fabulous Carol ! 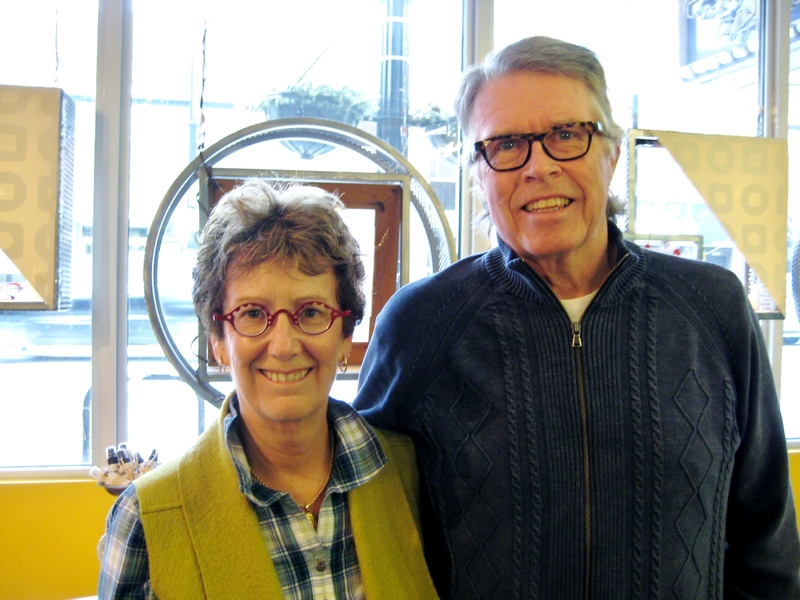 Carol bought her first Eye Spy frame in 2007 and has been coming back ever since! 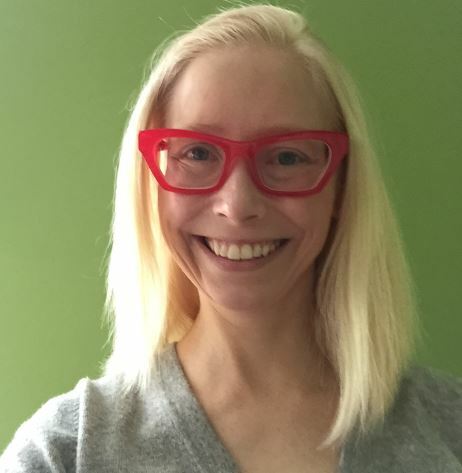 Most of the glasses she has purchased from us over the years have been Anne Et Valentin frames, but she decided to go in a different direction with a pair of blue Theo Cinquante+6 frames that really bring out her baby-blues! 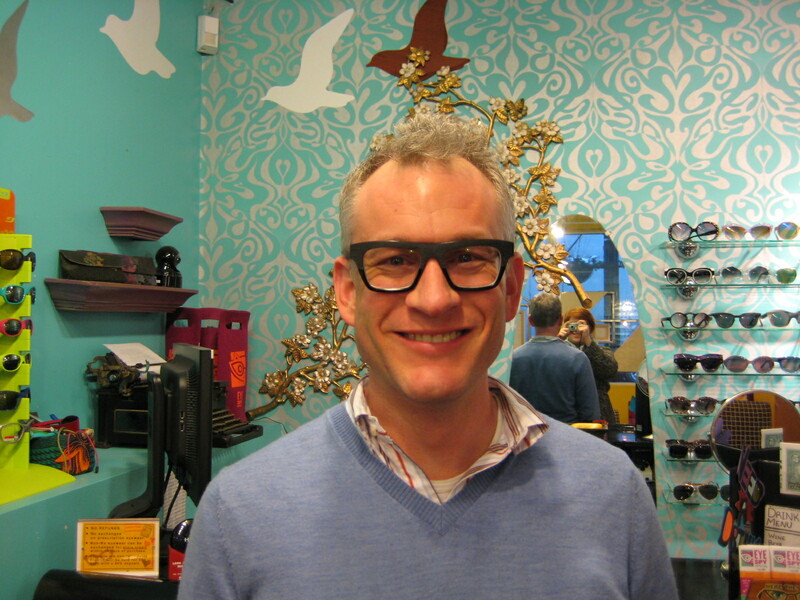 We love how these specs have a little bit of a cat-eye shape with some modern angles. They are so flattering on Carol and really frame her face beautifully! 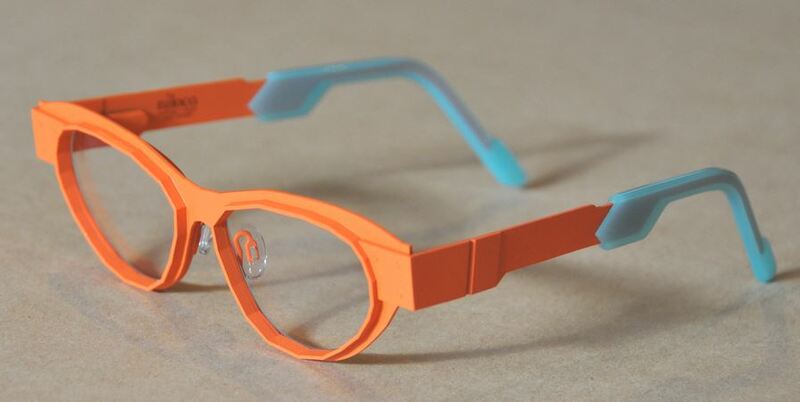 She also needed a sunglass, and decided to try out one of CustomEyes‘ amazing custom-made sun-clips. 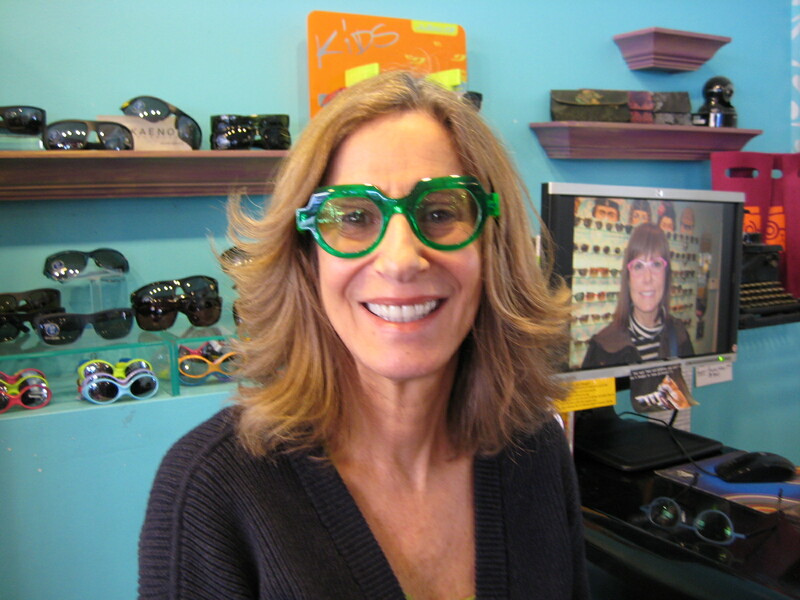 She was amazed at how perfectly they fit her frames! 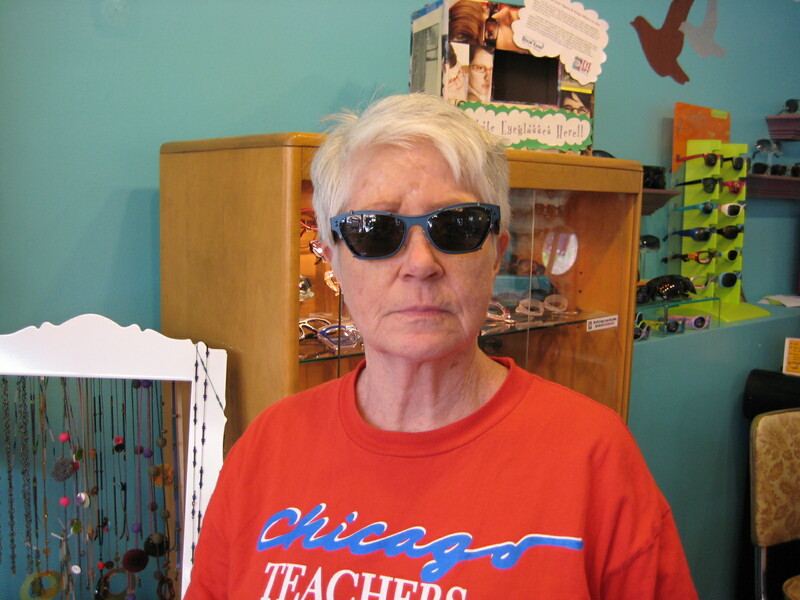 Carol’s Theos and CustomEyes sun-clips are a match made in heaven and we think she looks bad to the bone! 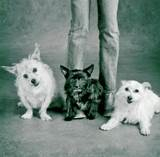 Go Green at our Theo Trunk Show on Saturday, April 18th! 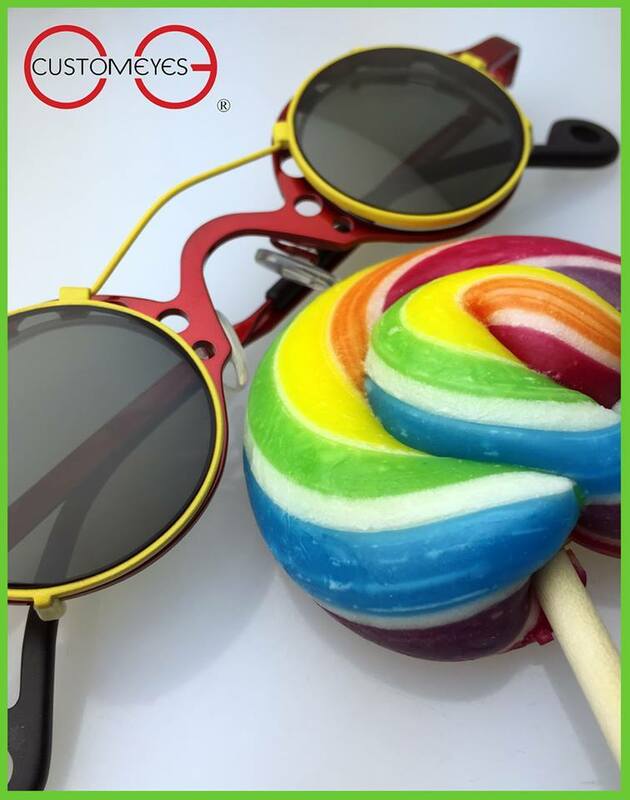 Well, it’s about that time….Spring is finally here and the new Theo collection is on its way to Eye Spy! Come and check out all of the new colors and styles on Saturday, April 18th from 11-5pm! We can’t wait! We will have sangrias and snacks to assist you with decision-making…no hanger in here!!!! 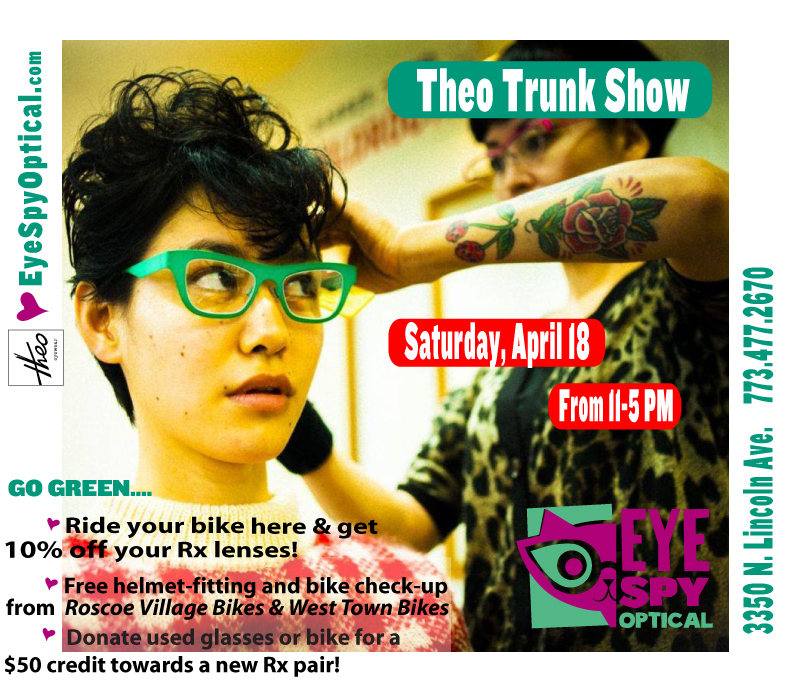 In celebration of Earth Day, if you ride your bike to Eye Spy, we will be giving 10% off Rx lenses with the purchase of a frame from Eye Spy:-) In addition, we are working with Roscoe Village Bikes to properly fit your helmut from 11-12pm *and* West Town Bikes to give your bike a check-up for spring! 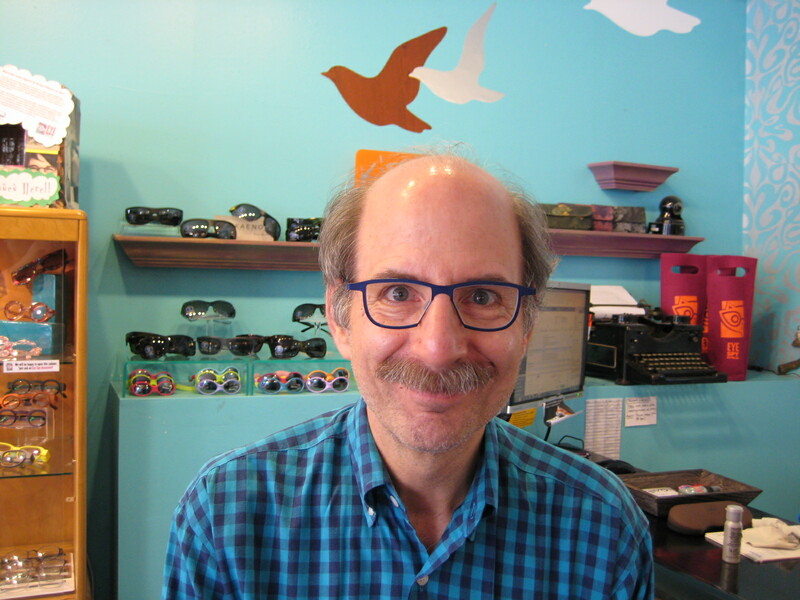 Finally, if you recycle a pair of glasses with us that you purchased online, you will get $50 off Rx lenses One discount offer per customer, puhleeze. 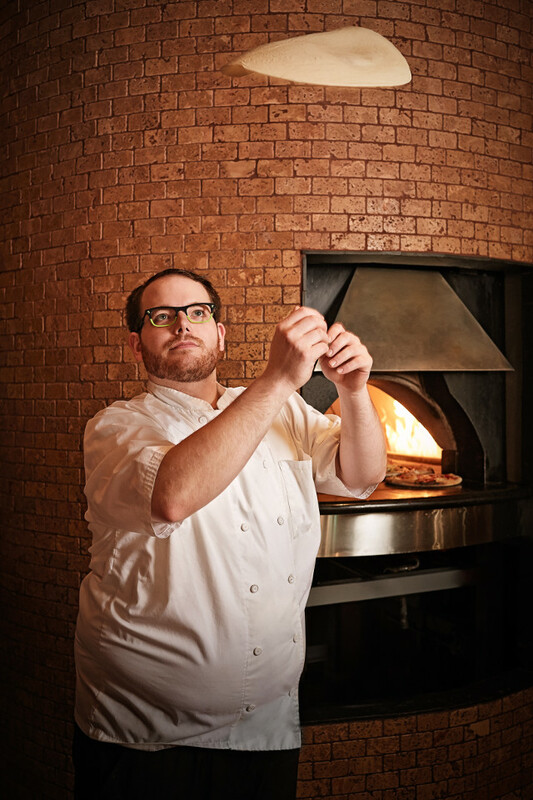 Whoops, we almost forgot the best part of all!? We will have a Girl Scout Troop from Oscar Mayer Elementary School here selling Girls Scout COOKIES!!!! It might be your last chance of the season to scoop up some cookies! So…. come check out the new dreamy Theo’s and satisfy your sweet tooth! See you Saturday, April 18th from 11-5pm!